Each Christmas, I make savoury biscuits for hampers sold by South Downs Cellars. Initially, I made oatcakes flavoured with fresh thyme or rosemary. 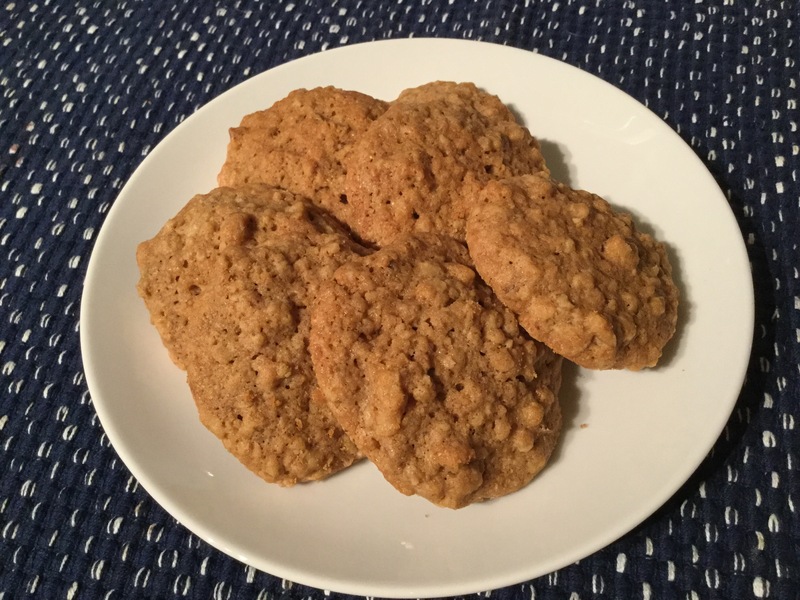 Last year, I tried a different recipe for oat and walnut biscuits. These contain a small amount of sugar but are not sweet and go well with soft blue cheeses like Gorgonzola or Dolcelatte as well as other rinded soft cheeses like Brie or Taleggio. As another experiment, I made a batch replacing the wheat flour with buckwheat flour. They are gluten free and taste delicious. The oats and chopped walnuts give them an interesting texture. I will be adding these to my list of products available to buy – either with buckwheat or wheat flour, depending on your preference.